I have been given THREE PAIRS of weekend tickets for this year’s Edinburgh Yarn Festival, courtesy of organisers Jo and Mica. To be in with a chance of winning a pair of tickets please comment below telling me what you are looking forward to most about this year’s event. Please only enter if you are planning on, or are available to attend this event on 18-19th March 2016. The give-away closes at 12pm (UK) on Wednesday 24th February. Thanks so much to Jo and Mica for an awesome prize! 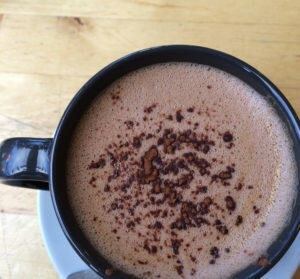 congrats Carol, Annette and Angela – random.org drew (not so randomly mixed!) 7, 9 and 8. You should all have your tickets now! 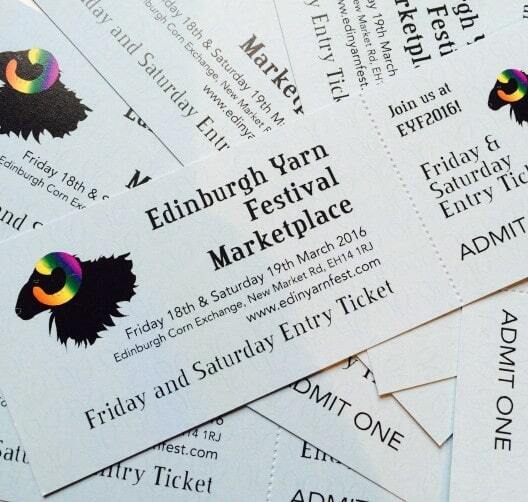 Tagged with: edinburgh yarn festival, giveaway! I’ve never been to the EYF but hear that there are the most amazing vendors there, I’d love to visit them and meet up with my online “friends from the north” for the first time! Where to start about what I’m looking forward to at EYF ? The vendors esp Wollmeise. To see what other knitted goods everyone is wearing ( will video this for myself this year so that I can re-live it ). Talking to people and being with like minded people. Being inspired . Also getting rid of my £2 coins as fast as is humanly possible . Oh and seeing your Scollay Cardigan ! Seeing all the yarn in person rather than through a computer screen and a day without children in tow. This will be my first EYF – I’ve lived down south until this year, and never been able to justify the expense of travel. I’ve just moved to Yorkshire with work and noted all the northern events. I’m looking forward to seeing yarn and patterns from the Scottish islands. I am bouncing in my seat over EYF this year. It is a chance to meet friends, existing and new, and look at and buy yarn and fibre from all over the world. The thing I am most looking forward to this year is the chance to look at the stall set ups as well as the produce as I hope to one day be able to vend at the event myself. I’m also looking forward to some comfy podcast couch time and a blether with you. I’ve inly ever been to my local fibre festival – Woolfest. I can’t wait to go to Edinburgh in March. I’ve booked my Locum for Friday. I’m excited about the journey – I’m letting the train take the strain. I can’t wait to see the weights of Edinburgh as well as the sights of edinyarnfest. The market place had my pulse racing (all those yarn fumes!!) but I’m excited to meet people too. I can’t wait to sit and knit and chat. Not long now. I will be there both days and I am looking forward to seeing all the lovely vendors and their yarns, and adding to my stash! And also meeting up with fellow ravellers and family members who share my passion. This event is close to home for me so makes it all the more special. I cannot wait!! I am hoping to meet with some online knitting buddies as well as putting faces to some well known names that I have been buying from online. It will also give me a chance to visit my daughter who is now studying in Scotland. It’s a win, win, win situation! These kind of events just don’t happen where I live, so I’d love the opportunity to be inspired by like minded yarn lovers. The fact that it’s held in my favourite city is an added bonus! Looking forward to all the yarn (I’m usually not much of a shopper, so feel no guilt about splashing out at EYF!! ), but mostly looking forward to be inspired by all the amazing knitwear, the camaraderie, the chats, and the amazing atmosphere!! This would be my first time in a yarn festival so this would be a chance to learn about lots of different yarns/companies in one place. I usually buy my yarn online where I can never be 100 % sure about the colour and feel of the yarn. I would love to meet the indie designers and dyers and hear what their inspiration is. I would love to go to EYF, it’s one of the big wool events I have not managed to attend. I have recently set up my own business so would love to go to see what other woolly people are doing. I’m most looking forward to feeling star struck upon meeting all the designers dyers podcasters and yarnies that I admire, all that talent in one building ???? I would love to go to the EYF. I have never been. I am studying a C&G knitwear and design course and recently had one of my course patterns bought by Jamiesons. They have also asked me to develop some new colours. It wouold be a real thrill to see the items in situ as well as explore the delights of all the other wooly and stitch related exhibitors. This would be so great. I have never been to a yarn festival before and would love to see all the different types of yarn there are so I can branch out a bit in what I knit. 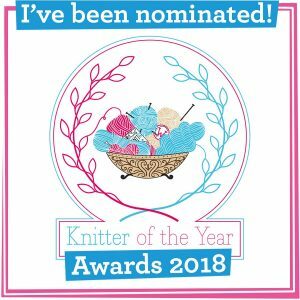 I’m looking forward to meeting up with knitting friends who I’ve only ever talked to online and talking to people as obsessed about knitting as I am. It’s my birthday on the 18th and I can’t think of a better way to be spending it. I love all the creative things that go with it. I think I would be like a child in a sweet shop! 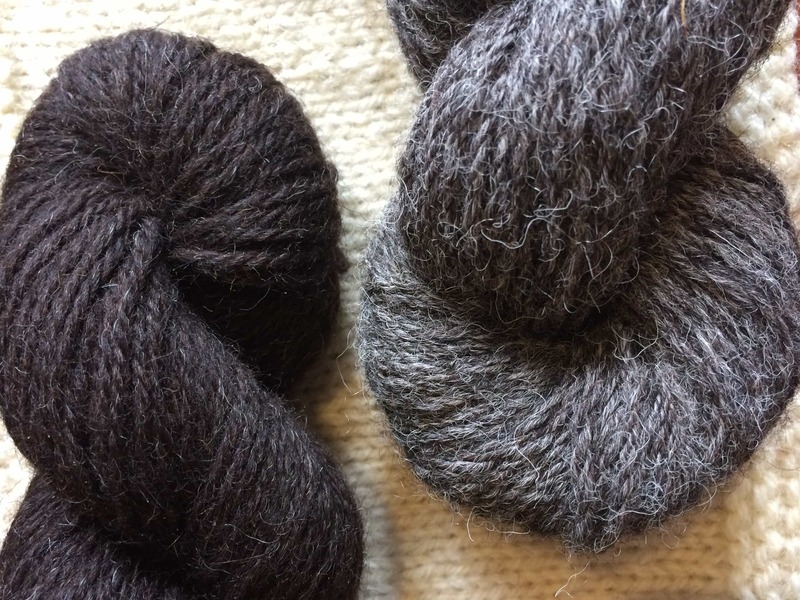 Wool, needles and good company – what a way to learn and expand your creative talents! I’d love to attend. I will be visiting the 11th-19th from Oklahoma in the U.S. With my fiancé (a former marine) who is OBSESSED with knitting! I cannot wait to see his face with all the different yarns! I’m looking forward to playing ‘spot the Raveller’ and inhaling woolly fumes! I have wanted to go to this festival for some years now and am always envious of everyone’s photos. Also, this is in my favourite city, so I would love to go for a whole weekend. I am looking forward to just being there, and yes, I intend to buy everything. :)) There will be lots of vendors I have not met before, so there will be far too much to resist. Would love to attend after hearing the knit British podcast, this has really got me excited to attend. Having only been to south of the country it would be great to go up north and a great excuse to visit Edinburgh. I’d love to attend as lots of my friends are going. Squishing yarn. Who doesn’t want to do that? Thanks for the opportunity and fingers crossed. I’ve never been to a yarn festival before so I’d love to go! I love to see what beautiful yarns are around and imagine what I could make with them. Plus, what’s better than giving them all a good squeeze?? I lived in Edinburgh for 15 years (the longest I’ve lived anywhere) and I still get pangs of feeling homesick whenever I hear its name. When I lived there you could only get yarn from John Lewis, so I’m looking forward to heading back now that it is a city that has properly embraced all things woolly! I’m really looking forward to a couple of fun days out with friends and being able to squish some lovely yarns. I only started knitting about six months ago and absolutely love it! Have heard such amazing things about EYF so would love to go and find out more about local yarn producers and attend some of the workshops! I live just outside Edinburgh and have only recently heard about the EYF. I think it’s fabulous that we have an even nearby and would love to attend it as so many other events are down south, and as a busy mum of 5 boys it’s just not possible for me to travel to them. I would love to go and see all the yarny goodness although I’m pretty sure my husband might be concerned about the effect on our bank balance! I’ve never been to the Edinburgh yarn festival but would love the chance (excuse) to indulge in so much wooly goodness. I am looking forward the most to the Podcast lounge and meeting other lovers of knitting and yarn. And I think I shall want to buy some of the gorgeous British yarns I can’t buy in the Netherlands! This will be my first time at EYF and I’m so looking forward to meeting Anna Maltz in person after preview-knitting one of her Penguin Patterns ! I’ll be fangirling all day with Stephen West, Nancy Marchant and so many talented designers and dyers around !! Coming with a bunch of French knitting nerds so these will be good times to remember ! This will be my first visit to EYF. Recently moved to north Lancashire so much nearer now. Looking forward to seeing in person all the vendors and podcasters I know from social media. I’d love to go because it’s just up the road from me and I’ve never been able to afford to go ???? All that lovely wool to inspire! Some patterns to put to wool I already have? And maybe learn steeking? Or short rows? I have only just booked flights and hotel so have missed out on classes, but I’m looking forward to the marketplace. Me time! People talk about selfish knitting. This could be my time to get my dream projects done. Thanks for this chance. I’ve never been to EYF and so am very excited to go for the first time this year. I will love seeing all the yarn. The thing I’m most looking forward to is meeting up with like-minded people, many who have become good friends through our shared interest of yarn squishing. 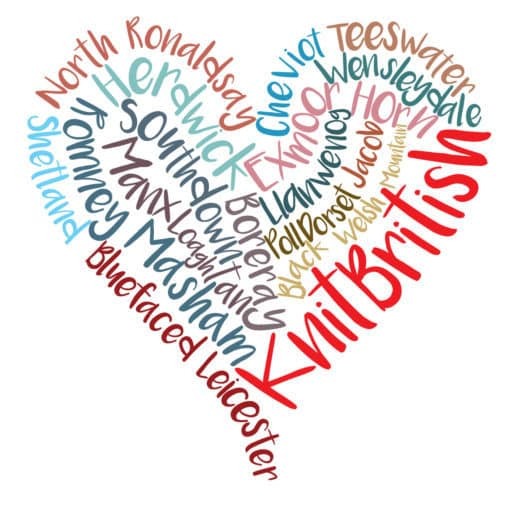 I also enjoy seeing lots of yarns that I’ve only ever viewed before online and chatting with vendors who have travelled from all over to bring their wares to a wonderful event on my doorstep. Can’t wait! I can’t wait for the Edinburgh Yarn Festival as I am South African and I used to work at a wool factory in South Africa as a pattern designer and I am interested in seeing how things are done on this side of the world. I missed this last year and was very envious reading the posts on the Innerwebs about it,. This year my daughter is studying at Edinburgh so I get to indulge in my various yarn fettishes and take her out to dinner. I am looking forward to looking at lots of lovely things (at my own pace this year as heading on my own rather than with family, though I will hang out with flatmate and knitting pals lots I’m sure! ), and chilling out in the podcast lounge with some cake and just generally taking in the atmosphere! I won’t be spending as much as last year and I’m on a bit of a stashdown so it’s more about the social than the shopping for me this year! I’ve only been knitting a few months but all the ladies in my knitting group are planning what they’re going to wear to Yarn Fest! I’d love to go and see what it’s all about!! I’m looking forward to the podcast lounge again, as it was so lovely last year. As well as buying a little bit of yarn…with a plan this time ! yes, winners at the bottom of the post.